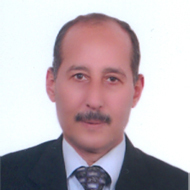 Abdel Hakem graduated from the faculty of law of Cairo University in 1983, he joined our firm’s banking and finance branch based in Cairo in 2011. His years of solid experience in litigation has given him considerable expertise in different kind of legal areas such as commercial, civil, banking and criminal law. He also works on banking transactions including syndicated loans and pre-export finance facilities. Abdel Hakem has also represented large commercial lenders in collection, foreclosure and loan workouts. He has served as a closing attorney on a variety of commercial and residential real estate transactions. He has contributed in providing legal support concerning bank operations using his wide knowledge of banking regulations and resolving unexpected legal issues, and monitored claims management as per legal policies.